Bet365 Mobile App - Worth the Download? Bet365 Mobile App – Worth the Download? 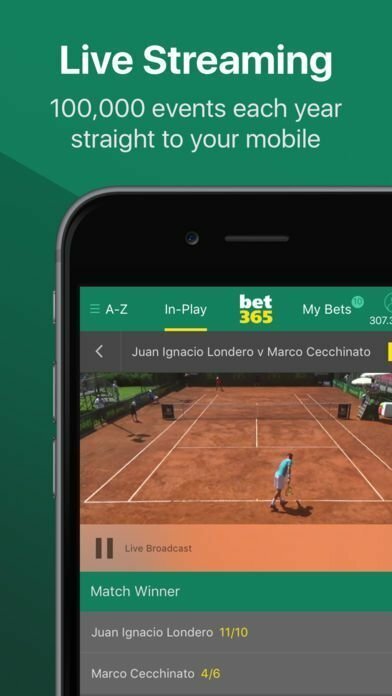 Bet365 is a name that seems to be on everyone's lips in the world of sports betting, so our team decided to dive into the mobile app and find out what all the fuss is about. Is their new app worth the download? And can it live up to the reputation of the massively crowd-pleasing Bet365 mobile app? We acessed Bet365 website’s homepage, scrolled right down and hit “Mobile & Tablet”. We typed in the bonus code for Bet365 . We went to the phone’s security settings. We just clicked “allow installation” then“install”. Once the download was completed, we simply clicked on the and signed in. From then on, we could easily check statistics, bet and stream live on-the-go! There are of course hundreds of phones and tablets on the market with hundreds of different dimensions, which can often mean apps aren’t compatible with yours, however Bet365’s app seems pretty versatile, working on what seems like every model including Apple. It’s fast, it doesn’t drink up your memory and from what we can tell it’s completely bug-free (up til now!). What’s more, the resolution is super high and there seems to be no delay on loading multiple pages one after the other. Windows phones are also supported although we found that loading menus wasn’t as snappy as with the iPhone and Android models. Outside of wifi, 3G or 4G connection seems to run the app perfectly with no blips, and the low memory means the app won’t be draining up your battery every ten minutes – you’ll be able to stay logged in all day. Live Streaming: A selection of daily live videos to stream on your favourite events, on the go, no matter where you are. You can even change the settings to maximize the quality of the feed on any device. Livestreaming is not available countries. You also need to have a funded account and should have placed a bet 24 hours prior to access this feature. Cash Out: Now and again circumstances change and you need to get out of a game quickly. This feature of the app lets you do so, so if your team is ahead you can grab the money and get out before the end. However you will get a smaller return on this “safe” money. Virtual Sports: Computer generated races and events such as Horse and Greyhound racing, Motor Sports, Football, Cycling, Tennis and many others. This service is available 24 hours a day and although not every member of the team loved the service, the concept is interesting and we could see it going somewhere. Match Live: This is a great feature for watching live sports matches. Even though not all matches come with live video you can still track the action through smart animation and live commentary, so you never lose out on the drama. Mobile images displayed on iTunes about Bet365 app on 6th December 2017. Interface is subject to change, check the app for latest available version. 1. So how do I bet? The application makes placing a bet on any of the available sports an absolute breeze – there’s a menu with all the sports on the left hand side, each expanding into categories with the different leagues and tournaments available to bet on. You can watch the “Live Betting” feature and catch events happening in real time all over the globe, or you can jump straight to “Available Bets” where you can choose which match you want to bet on. You give box next to the odds for the match a click in order to place a bet. Next, on the right-hand side the “Bet Slip” area will show you your picks. When you’re happy with what you’ve selected you can click “Place Bet” to submit your bet and that’s it! Even if you are betting on multiple different outcomes of different matches you can see these all grouped together in the Bet Slip area. You can even go through your past bets in the Bets History area of the app. It will show you your currently placed bets and your betting history. 2. How to contact with customer service? You can get in contact with the team at Bet365 in a number of ways. There’s a chat service with experts over at the app, or if you prefer a written exchange you can contact their email service which will give you super quick, simple instructions around your problem. You can also email them to a specific email address, which seemed a little superfluous to us given that the other options are so much quicker, but you can find this on the “Contact Us” section where you then find details according to which region you live in. 3. How do I collect my winnings? When you’re ready for your hard earned cash you just scroll to the top of the page and hit “Withdraw Funds”. You’ll have to click the withdrawal method that you used to open your account originally with the app and after you’ve filled out the info boxes that’s it. After this you’ll have a wait before the cash arrives in your bank. Bet365 can transfer from a few different payment methods, check the site for latest details. If you want to change your withdrawal method or any of your other details, the app makes this easy too. Hit the “Members” button and a new box will open where you can switch your personal information. After this click “Update” to save the information permanently. Well, ever one for criticism, we’ve started with the negatives. We found the customer support chat to have a bit of a sticky connection at times of high traffic that must be tipping their systems over the edge. Furthermore during the signup process the app asks you for a lot of very specific details. However these were genuinely the only negatives we could identify. The experience other than this was almost flawless and a clear amount of effort has been put into making user experience as rapid, simple and smooth as possible. 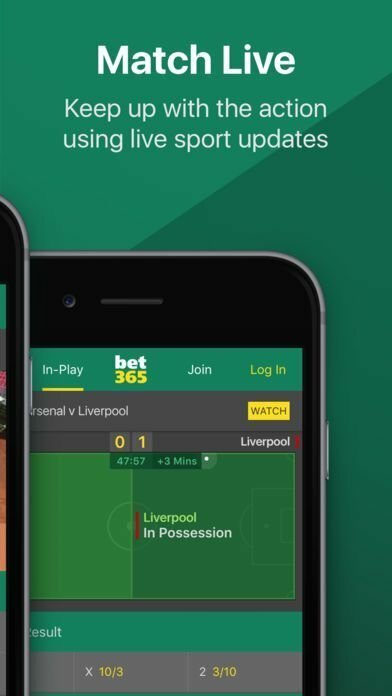 It is of absolutely no surprise that this app is making a splash in the sports betting world and we’d definitely recommend you pay Bet365 a visit while they still have the edge! Betminded » Online Betting guide » Bet365 Mobile App – Worth the Download?